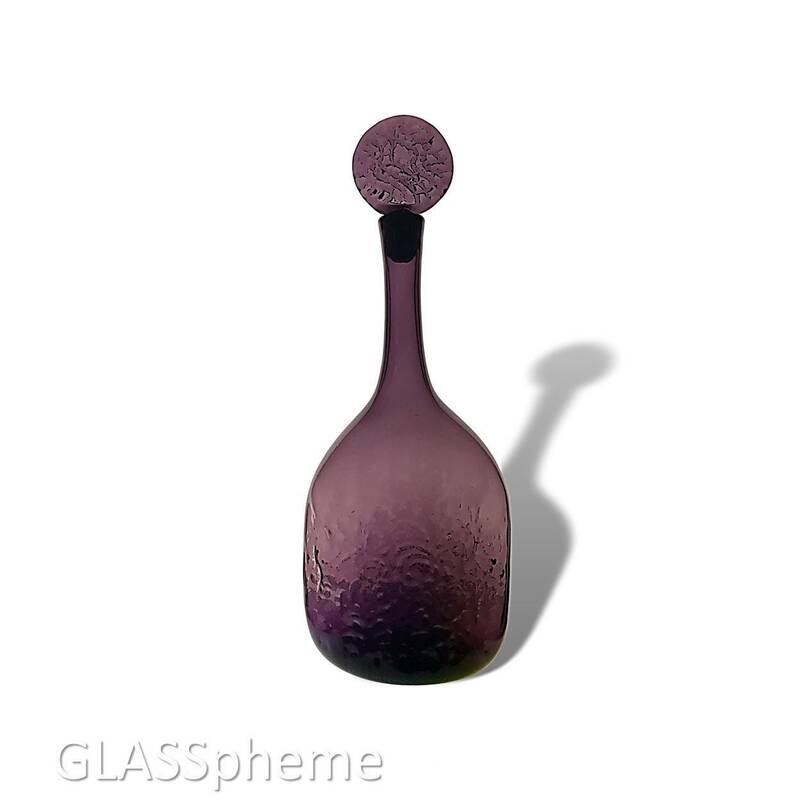 BLENKO Joel Myers #6728 Glass Decanter in 1967-only PLUM is a spectacular crazy rare gem and a serious unicorn. It was made for one-year only in a one-year only color! 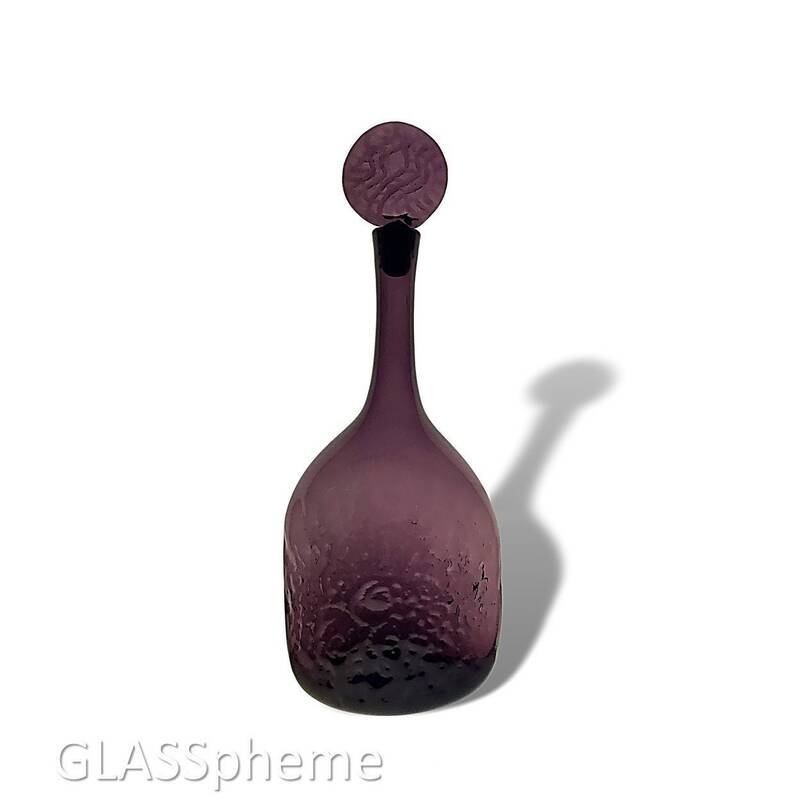 And using Worthpoint's decade+ old archive of online auction sales of this design as a proxy for rarity, this beauty is off the charts: There's only ONE sale of this decanter (intact, with both stopper and base) recorded! Dimensions: Just over 16.5" tall and 6" wide at widest diameter. 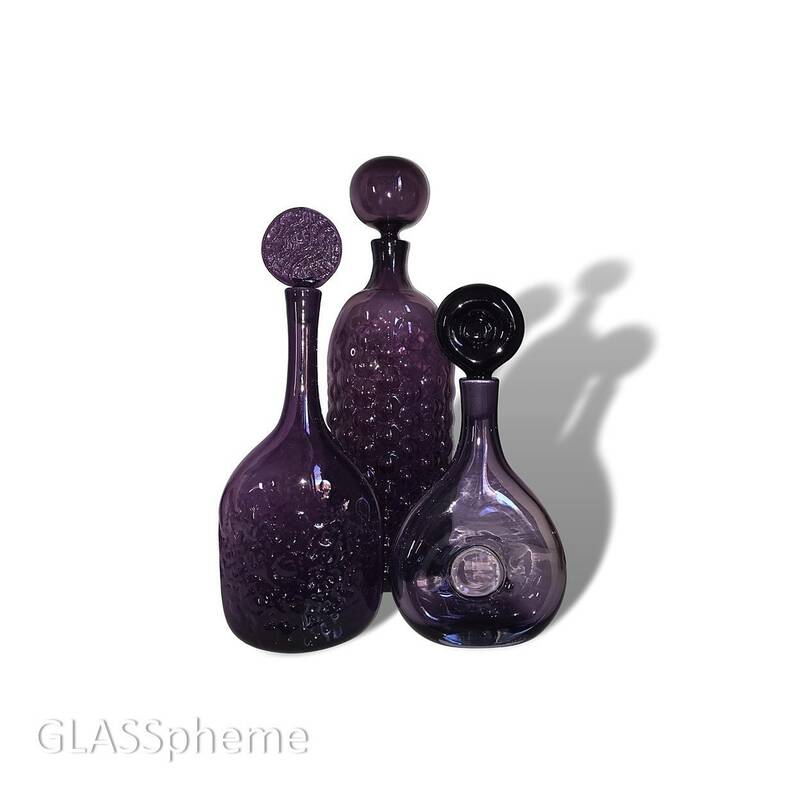 Condition: Excellent, with some light interior staining that is COMPLETELY irrelevant given the dark and textured glass (and how crazy rare the piece is).